I love all things wedding—the pre-wedding celebrations, the ceremony, the clothes, the look on the couple’s faces, the decor, the cake… the works. At this time of year, when save-the-date season starts to ramp up, I tend to brace for requests for the pleasure of my company at a fast-approaching ceremony in the Everglades in August or on top of Mt. Washington in February (“But it’s where we met!”). Don’t get me wrong. For my dear ones, I’ll gladly put on hip waders, snowshoes or whatever the event requires. But I’d consider selling my soul to attend a wedding, just once, in a spectacular destination I’d be happy to travel to, wedding or not, preferably in season. Saratoga is, of course, near the top of my list, but if I had to choose one other place on Earth, it would be Paris. 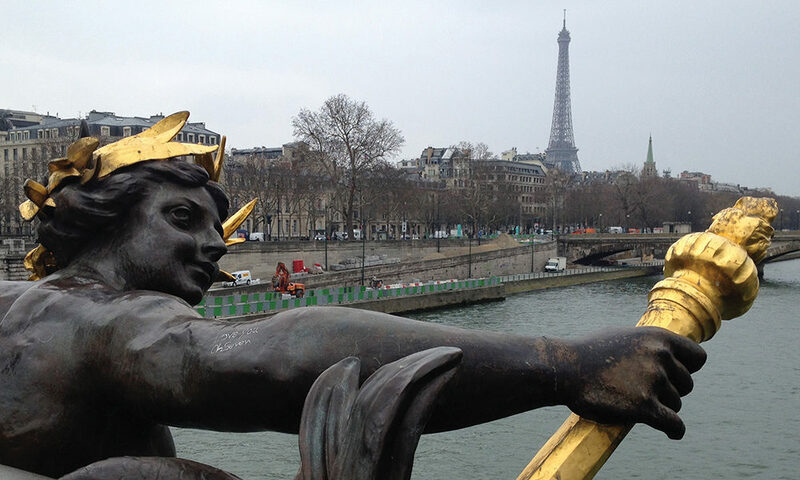 The City of Love, of Light and Instagram-worthy everything, long before there was ever an Instagram. In April, the city blossoms and blooms. May is green and glorious, while June, September and October have their own seasonal charms and far fewer tourists to photobomb your wedding photos. In November, you get big, fluffy clouds that add painterly drama and romantic melancholy, and by December, the town sparkles and twinkles with the glow of ancient buildings cloaked in amber, red, white, blue, purple and green holiday lights. All things considered, there’s never an un-stunning time of year to marry in Paris. The romance, the drama, the beauty at every turn—it’s all there, every second of every day. So should I start looking into flights? Just picture the two of you, on a beautiful [insert season] morning. You, in a chic little off-white Dior number, ready to sashay down the aisle; your partner-to-be, equally resplendent in Vuitton, waiting up front. Your intimate inner circle is lining the pews of a cozy chapel in the Marais, or perhaps it’s something a bit grander, such as the 13th-century, stained-glass-walled Sainte-Chapelle, as rainbow-colored beams of light wash over the assembled (though you’ll probably need the OK from President Macron first). Afterward, it’s off to an intimate celebratory dinner inside Le Grand Véfour, an 18th-century jewel box, toasting with a bubbly rosé and cutting into an elegant one- or two-tiered gâteau de mariage. If I can convince just one newlywed-to-be that Paris is the only international destination to put on her short list, I’ll RSVP “yes” right now and get her that $500 candy dish that’s been lingering on her wedding registry. So, are you ready to commit to the City of Love? OK, then let’s do this wedding-in-Paris thing now—actually, any day is fine. And save the post-wedding bash for the Saratoga summer, s’il vous plaît. There are those who delight in spending their vacations holed up in a sixth-floor walk-up apartment rental in Paris. We, however, are not among them. And if you happen to have near and dear ones flying to Paris for your destination wedding, they’re probably not up for a DIY experience either. Something more luxurious, more classically Parisian recherché is more likely what they have in mind, budget permitting, bien sûr. So, to fit that bill, here’s a round-up of a few of saratoga living‘s favorite hôtels in Paris—and which wedding guest you’ll want to send where. For couture-level luxury and prices to match, you simply cannot go wrong with any of the ne plus ultra grand dames of Parisian luxury, namely, The Ritz, the Four Seasons George V and Le Bristol. Though it’s hard to pick a favorite, your poshest wedding guests will definitely dig the wall-to-wall, just-gut-renovated glamour of the legendary Ritz Paris, including a makeover of the city’s chicest subterranean pool—where political “personality” Pamela Harriman is said to have taken her final swim—and upstairs, on the lobby level, the gustatory delights of the finest champagnes and, in our opinion, the world’s most delicate, lighter-than-air club sandwich served avec pommes frites at the Ritz Bar. For your high-flying captains-of-industry types—who expect unique touches like personal trainer-guided morning runs throughout the city—the comparably glamorous Four Seasons George V boasts every conceivable luxury amenity plus some of the largest standard rooms in Paris, done up in classic Louis XVI style. Should they need to mix a little business with pleasure, your guests can impress colleagues at the ornate, see-and-be-seen lounge, the spot to go for people-watching, lunch, high tea or just a tall cold one (ice tea, that is) with extra lemon and a bit of minty shrubbery. We can imagine you’ll have a couple of funkier, luxury-loving friends flying in for the wedding, too. For them, we’re thinking a “design hotel,” boutique-y, yet five star, with loads of contemporary artwork and furnishings, preferably on the Left Bank and not too far from Le Metro, you know, just in case. A spa and wellness center, plus an exquisite, cozy dining room with roaring fireplace would also work well. 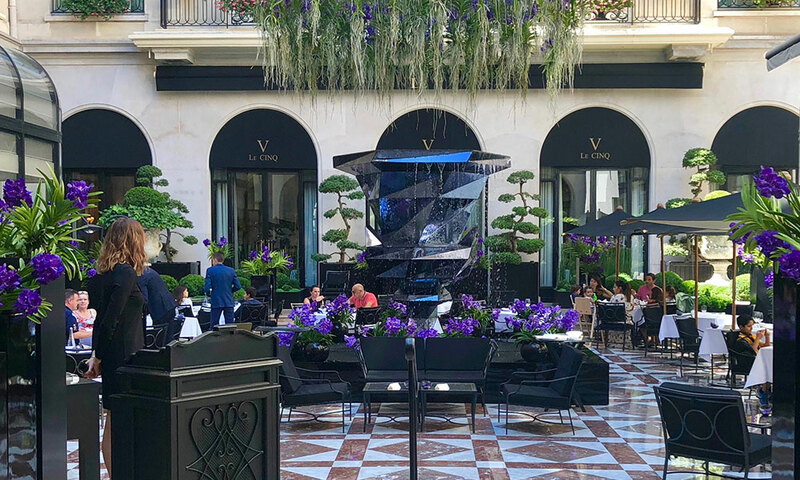 In that case, send them to Le Cinq Codet, a super-stylish, discreet little oasis around the corner from Les Invalides, housed in a small, repurposed ’30s deco office building. Among the high-design highlights are the guest rooms, some of which feature private terraces and reach-out-and-touch, window-filling views of the Eiffel Tower. For the younger or more adventurous, or the eye-on-the-budget set, send them to the Gare de Lyon/Bercy neighborhood. It’s one of those charming, under-the-radar residential enclaves where “real” Parisians live. Just beyond the tourist fray, but still in “centre ville,” its underrated, surprisingly convenient hotel offerings include a few inexpensive boutique options as well as some international brand names, like Novotel, Marriott and Mercure. On the boutique front is the industrial-chic Hotel Fabric, housed in a gut-renovated factory space, with rooms outfitted in mid-century modern furnishings with industrial decor touches, softened with colorful bedding and fabrics. Think Brooklyn-by-the-Seine with a dollop of understated steam punk, and less than $200 a night if you play your cards right. For loyalty points enthusiasts (guilty as charged! 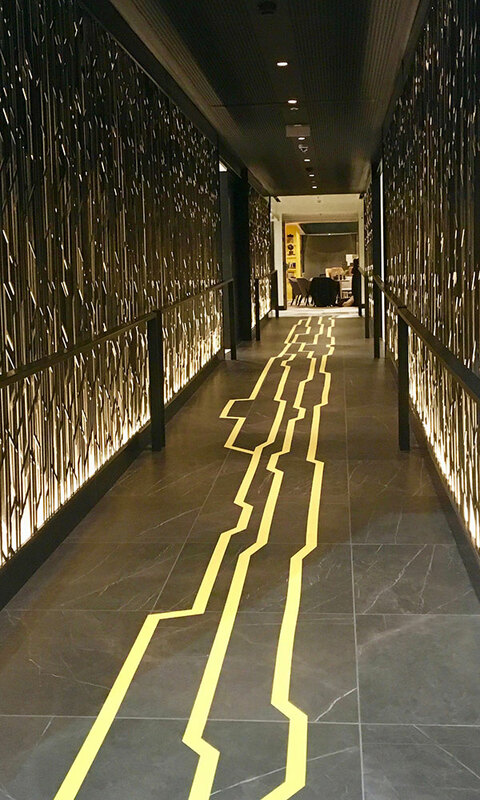 ), the newest addition to the neighborhood is the unexpectedly luxe, yet very reasonably priced four-month-old Courtyard Marriott Gare de Lyon. A minimalist design-lovers’ dream, the “#cyparisgdl” is housed in a 19-story, former office tower, where rooms are bright, white, simply appointed and spacious, with soothing blond wood touches and occasional pops of sunshine yellow. But the real pièce-de-résistance? The mesmerizing, oh-mon-dieu! panoramic views of the entire city from virtually every room. Have your guests request a high floor, in the “16 line” of rooms, for an-incredible-to-wake-up-to view of Jardin des Plantes, the Seine, Invalides, the Eiffel Tower, Notre Dame, the Arc de Triomphe, La Defense, Sacre Coeur, Montmartre—all without getting out of bed.